Rockin' Rich Lynch: The Secret Origins of Bruce Springsteen's Magic? The Secret Origins of Bruce Springsteen's Magic? I was watching TV on February 14, 2018 and saw an ad for a new television program coming to ABC next month about a magician working for the FBI. The only other thing I know about the show based on the preview is that it is called "Deception". Deception is a new television show coming soon to ABC. And then I went, "Oh, yeah". You see I have a story that deals with deception, magic and Bruce Springsteen and it goes like this. In the fall of 2004 my friend John Sheehan - a full time fingerstyle guitarist and part time conspiracy theorist - gave me a stack of funny looking caricatures of currency known as "Deception Dollars". These notorious notes did not look favorably on the George Bush administration and his picture adorned the front side of the bill along with URLs for numerous websites that supposedly offered deeper truth behind the day's headlines. They were - to say the least - intriguing. The following week I was in Asbury Park, New Jersey on the night of Saturday, November 6 for Light of Day V. This annual music festival is held to help raise awareness for Parkinson's Disease and it had become notable for Bruce Springsteen's unannounced but dominant appearances. That gave me an idea. The Deception Dollar that Bruce Springsteen received on November 06, 2004. Following an incredible night of music I followed the evening's headliner Joe Grushecky out the door of the Stone Pony. It was past one in the morning and Joe had just finished jamming for the past 90 minutes with his friend Bruce Springsteen. He was trying to catch his breath and get some fresh air after a steamy performance with The Boss. I might have caught him off guard when I yelled, "Hey Joe, only you can save America!" He turned inquisitively as I handed him the curious currency and then I asked him if he could give it to Bruce as I only had one on me at the moment. Minutes later, Joe was back at the bar and him and Bruce were holding the bill up to the light early in the a.m. at the dimly lit yet historic shore town bar. When I saw them both have a chuckle I thought to myself - "My work here is done!" In July of the following year I re-introduced myself to Joe Grushecky at a Ringwood, New Jersey house concert appearance and apologized about being short-handed the previous November and then gave him his very own "Deception Dollar". I then asked him what actually happened to the one the two rockers were diligently inspecting the previous fall. "You asked me to give it to Bruce," the Pittsburgh head of the House Rockers confirmed. "So that's what I did. I gave it to him." Springsteen at LOD 5 in 2004; Grushecky in Ringwood in 2005. Fast forward to September 25, 2007 and Bruce Springsteen released the critically-acclaimed Magic and soon after in interviews Springsteen began telling reporters the theme of the album wasn't really about magic but more in line with the tricks and deception of political leaders. Bingo - there it was! So, looking back, I'm not really claiming to have given Bruce the idea and impulse for his fifteenth studio album. But, it sure would be cool to know if the "Deception Dollar" incident in any way influenced Springsteen to craft what many consider to be the last great E Street Band record only a few short years later. 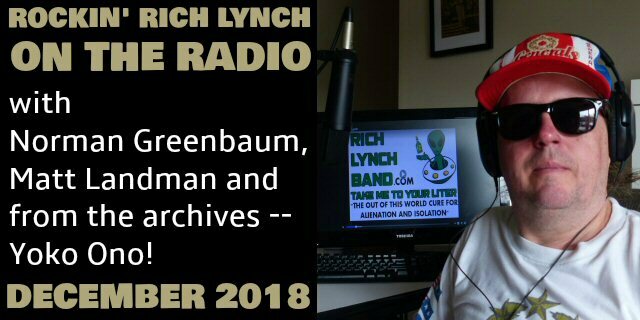 Since handing Joe Grushecky the Deception Dollar Rich Lynch has since gone on to make a move to Nashville, Tennessee to launch an independent music career. Recently he recorded two tracks that were inspired by his hero from the Garden State. However, one is hammer and one a lantern as only one reveres while the other reviles.